The New York Times published an article yesterday about four major retail stores (Walmart, Walgreens, GNC and Target) and the supplements, or lack thereof, they sell. Scientists under the direction of the New York attorney general’s office decided to go to these stores, buy select herbal supplements, and run analytical chemistry tests on them to see if they had ANYTHING resembling the listed ingredients of the label. They didn’t! The common supplements they tested were herbs like valerian, St. John’s wort, saw palmetto, ginkgo, ginseng, garlic (one of the best studied herbs for high blood pressure) and Echinacea. What they found was that powdered rice, beans, carrots, peas, radishes and house plants made up most of the ingredients (a balanced meal, perhaps, but not an herbal supplement!). It truly saddens me when we have plants in nature with properties and constituents to enhance our own health, but then large corporations place profits over consumer safety. Also concerning was that supplements sold at GNC were found to contain unlisted ingredients as fillers including powdered legumes (e.g., peanuts and soybeans), which can be hazardous for those with allergies. RICE! It’s what’s in your GNC/Walgreens/Walmart/Target supplements! Patients and consumers are always looking for a way to save money on supplements that are prescribed or recommended to them. And who can blame them? Depending on their condition, one might be taking several supplements, and therefore, price can quickly become an issue. BUT, we know that we get what we pay for. 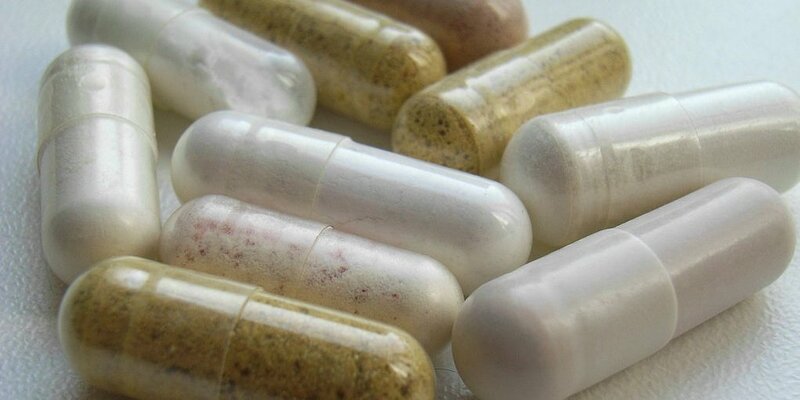 At Cascade Integrative Medicine, we prescribe and sell only nutraceutical-grade supplements. These are manufactured according to rigorous standards, are subject to third party quality controls (for example, see Designs for Health), and each manufacturer can provide a Certificate of Analysis (CoA) for any of the products on our shelves. Supplements should only be taken when evidence exists to support their use to treat or support a given health condition. CoQ10, creatine, L-carnitine, curcumin, and many others have been extensively studied for a variety of health conditions such as cardiovascular disease, cancer, or autoimmune disease. Everyday, millions of Americans take nutritional supplements to improve their health or promote well-being. Supplementation should be individualized, evidence-based, and should be supported by sound biochemical rationale. You get what you pay for. While nutraceutical-grade supplements may be a little more expensive, you can be assured that the ingredients are tested and the product’s contents are as listed on the label. Consult a knowledgeable clinician about supplements. If not, consider finding a naturopathic doctor (ND), like those at Cascade Integrative Medicine, who are trained in the therapeutic application of nutritional supplementation and their potential contraindications. Buy supplements from companies that conform to Good Manufacturing Practices (GMP). How do you know? Do they perform third party quality control testing? Can they provide a CoA? Dr. Mark Woodall is a naturopathic doctor at Cascade Integrative Medicine in Issaquah, WA. He also holds a master's degree in exercise physiology. 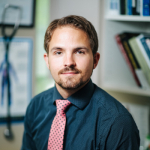 In addition to primary care, his practice emphasizes physical medicine and rheumatology. Candida…The Root of Your Symptoms? This is a cultural problem brought on by Americans being too politically correct, and the government having promoted ISO-9000, which is the industrial equivalent of AIDS. Under ISO-9000 companies can DOCUMENT things but not bother to DO them. E. g. a company can save money by closing its laboratory and accepting a certificate of analysis from its vendor (who might have gotten it from the vendor who sold to them, etc.). Now this works fine in America, Germany, Japan, the UK where we have cultures requiring honesty and police who will eventually catch and punish anyone who just makes stuff up. It does not work when doing business in the rest of the world. E. g. China. Chinese engineers think ISO-9000 is hilarious and when employed at American companies keep telling their bosses to keep the lab and not believe anything like a CoA they get from a Chinese vendor. It isn’t that Chinese are bad people, or do this to Americans out of spite. The business honesty we take for granted simply is not part of their culture. They pull this sort of thing on their countrymen all the time. Remember the melamine in milk scandal? So if you are buying supplements from ANY company that outsources production and doesn’t have its own lab, you’re not very likely to get what you paid for. Of course in this situation there is infinite rumor and innuendo as companies who don’t have their own labs try to pretend it’s their COMPETITORS who have the problem…. when often it is not. If you get a certificate of analysis, make sure you know where it came from. Also if it is a US lab analysis by an independent lab, make sure it is INTENDED for public distribution (the quick and dirty check type tests are far cheaper but do miss things which is why they’re marked not for distribution or forensic use).